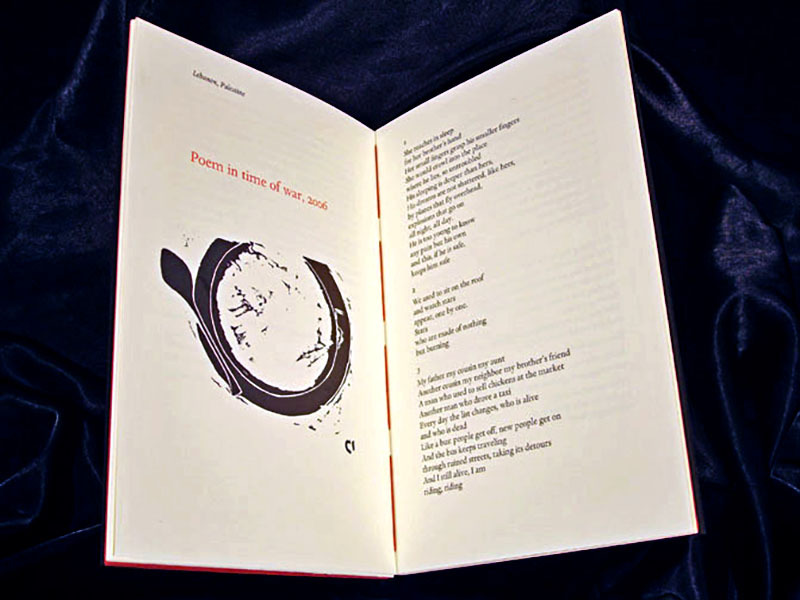 Jagged Stones is collaboration between poet Anita Barrows, her eleven year old granddaughter, Ciel McKay, and artist/printer Mary Risala Laird. 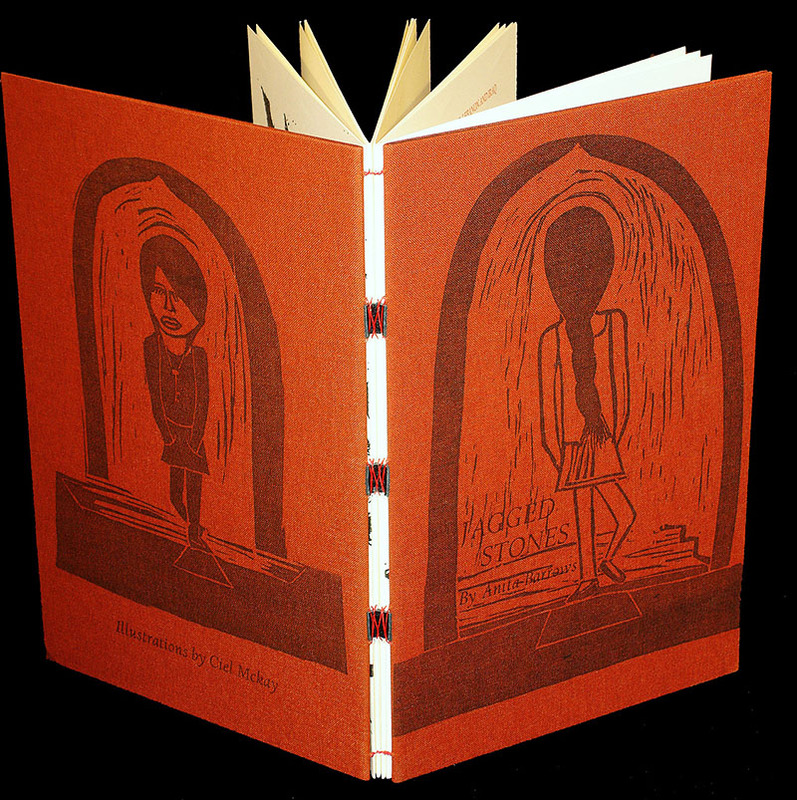 Ciel drew and beautifully executed seven linoleum cuts. The British Library hopes she will continue her direction as an artist. She had tea there with her grandmother last spring. Yes, they bought two books! You should, too! 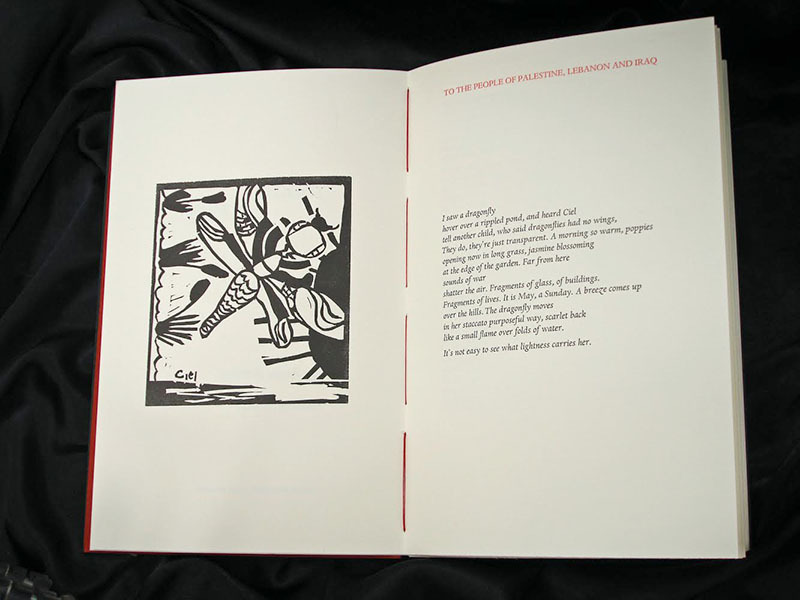 Set in Dante by the Bixler’s, letterpress printed on Mohawk by Mary Risala Laird and Anita Barrows. Binding of burnt red Japanese cloth drummed over boards; a thin black line of board extends over the fore-edges of the covers. 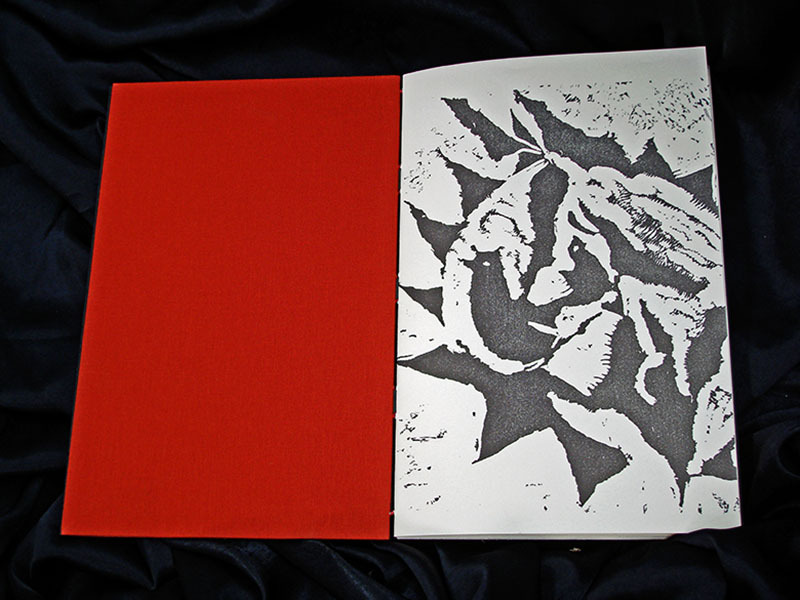 Sewn with red linen thread using a link stitch, onto three small bands of purely decorative black goatskin.